Do You Qualify For A Free ATM Placement? 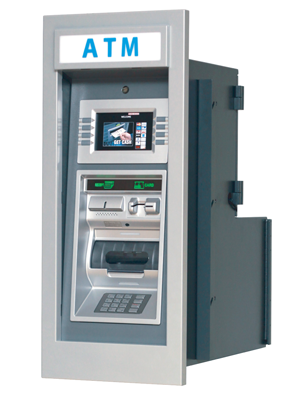 Genmega introduces the Onyx series of ATMs for any ATM environment. 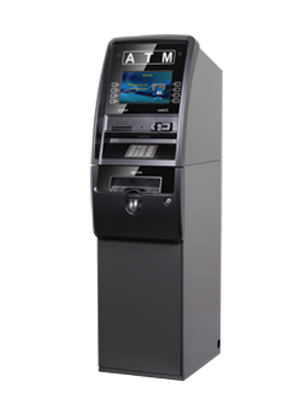 With an up-to-date look and a feature set sure to impress, the Onyx provides the latest in ATM technology for any market. Whether in a hotel, club or gas station, the Onyx ATM will stand out in a location while still looking financial to encourage transactions. 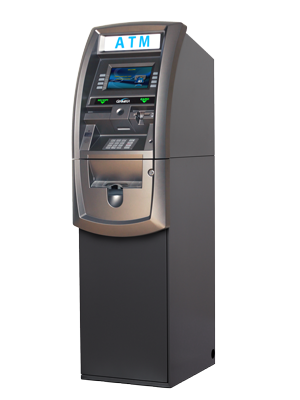 Boasting a 10.2 wide screen, or an optional 12” touch screen, a security reflective front, and touch keypad, the Onyx provides the future of ATM technology. The strong cabinet, tough exterior and security enhancements, however, make it durable enough for any location. An optional 3” printer upgrade allows for graphics and couponing to complete a full ATM product offering. With all of the cassette options, and a presenter option, the Onyx is a flexible solution to meet a locations needs. The Onyx supports all Genmega CDUs and other manufacturer as well, giving a wide variety of dispenser options to tailor the solution to the location. Started our experience with Ocean ATM last April with our first machine. From day one Todd, Dana and Joe have been great to work with! They have patiently educated us as well as provided excellent tech support service for us being novices. They always answer the phone or get back to you timely. In ten short months we now have three ATM’s and no plans to use any other company than Ocean ATM! Being new to the ATM business, I found Todd and his team extremely helpful. They answered all of my questions promptly and have turned me into an ATM pro in a few hours. Thanks to the OceanATM team I now have a new stream of revenue flowing into our business. I’ve been using Ocean ATM for 7+ years. New to the ATM business, they have made it seamless. Tech support is always very quick to respond, and from when we purchased the ATM to date, Todd Schager has always been there to help with any questions or needs. I’ve been using Ocean atm for about a year now. Gradually building an ATM business. They’ve made it a very easy process. Tech support has been great. I would, especially like to thank Todd Shager. He’s helped me every step of the way. Great going. My fiancé and I were looking into getting in the atm business as an extra passive income, it’s not really easy to invest your money and trust every process you hear about to make an extra income, But I can definitely say that Todd Shagger at Ocean ATM was my best guide and gave me that confidence I was missing, he followed up with us day after day while our ATM was in transit and even after we received it, he has always been available if any doubts come to mind, best I’ve seen in years, we also would like to thank Dana for helping us set up the ATM she was Amazing!!!! For my first ATM being set up everything went and is still going great. Tod assisted me with all my questions including before after installation and errors I’ve had. Looking forward to expanding in the future. Todd was extremely helpful throughout the entire process. Great communication between the both of us. Ocean ATM is great, Todd has been very helpful and quick on responsiveness. Definitely recommend to anyone who needs Atm. I recently purchased an ATM machine from Ocean ATM Todd was the person of my contact he provided me with an excellent customer service support and gave me in-depth knowledge about why should I purchase ATM from them I was looking to different places but after talking to him and the supporthe provided me I was very please I will in touch with him definitely for my future. Thanks for your help Todd. Aziz. I could not have asked for better help and customer service. Todd and Dana both helped me in purchasing, setting up and getting our first ATM up and running. Todd made the hole experience very smooth and painless. I have recommended several people to Ocean ATM. Thanks again for helping me get an ATM. i had an awesome experience with Todd, Joe and Dana at Ocean ATM, while purchasing my first ATM . Very Helpful and Reliable!! Just want to add I just purchased my second ATM and can’t be anymore pleased with the service provided by Todd Schager and the whole team. It was a pleasure working with Todd at Ocean ATM. Being a new customer without any knowledge of ATM business, Todd really took his time and explained how everything works. The gentleman who came to install was very polite and professional. Thank you for everything. Its been a pleasure doing business with Ocean Atm, looking forward to doing more business with you guys. And thank you Todd for responding to me breifly when I have questions to be answered. I have had ATM installed at four locations and never had an issue with service or sales. Everyone’s great to deal with. I've been working with these good folks for years. No issues, very kind and professional. We just got two units. The staff was super helpful from purchase to setup. I highly recommend Ocean ATM to anyone looking to start your own business or take control of your ATM in your existing business. These are the guys you need to talk to! I have Alex’s Barber Shop in Queens. I bought new ATM and got good service and good deal by Todd and Bobb . Very nice guys! I have helped my girlfriend start an ATM business. We found Ocean ATM online and decided to use their services. Todd Schager walked us through everything and made the setup of this new venture a breeze. We cannot say enough about the other Ocean ATM employees as well! They are all amazing. We look forward to growing together. The guys at Ocean ATM are very helpful. The ATM setup was quick and easy. Great service. Incredible service! Todd is readily available to help, pleasant to deal with, and quick to answer questions. He went above and beyond and was a true pleasure to work with. Joe was excellent during the installation process and made the process simple. He was patient and did an excellent job guiding me through the process. I highly recommend Ocean ATM and I can't imagine using any other company. Thank you, Todd and Ocean ATM! You have been very attentive and helpful with setting up an ATM in my business! Very pleased with Todd from Ocean ATM. I have a very busy schedule and he was able to work with me on my time. The process was also very smooth and got my ATM promptly. Specialist Joe was also very helpful assisting with the software installation and getting my ATM up and running. 5 Star for Ocean ATM. Thanks guys!